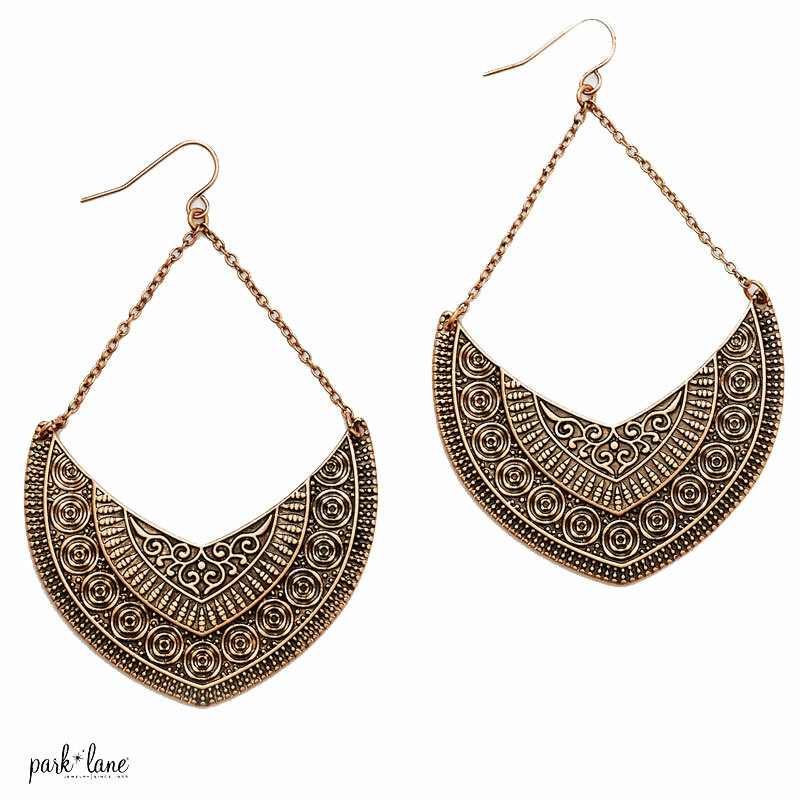 Swaying from twin sections of fine chain, these tooled copper-finish earrings exude an exotic vibe. 2”wide. 3½”long drop.